Thirty years ago we started our first Ancient Art Gallery. Now it’s located in the centre of Antwerp nearby the riverside, not far from the medieval cathedral and the famous renaissance town hall. Karl Stimm studied at the University of Nijmegen in the Netherlands and graduated from university with a Master degree in Archaeology and History of Art. 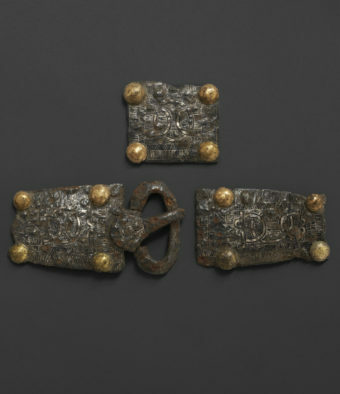 Merovingian buckle and back plate with inlays. Northern France. 7th century AD. Provenance: Private collection EC, Belgium / Old private collection Brussels, acquired in 1980.